Our Dallas, TX, podiatrist Dr. David Northcutt grew up in Indiana and earned his bachelor’s degree in health sciences from Purdue University in West Lafayette, Indiana. Dr. Northcutt graduated from Des Moines University College of Podiatric Medicine in 2006, where he was active in the student government serving as the president of the Iowa Podiatric Medical Student Association. Following podiatry school, Dr. Northcutt completed a three-year residency in podiatric medicine and foot and ankle surgery at Hunt Regional Medical Center in Greenville, Texas. Based in Greenville, this residency program allowed him to work with a variety of physicians around the Dallas-Fort Worth metroplex, where he developed expertise in the diagnosis and treatment of pathology affecting the pediatric and adult foot and ankle, diabetic foot care, and foot and ankle trauma. His training also included an intensive mini-fellowship with reconstructive foot and ankle surgeons in Germany and Austria. Currently, Dr Northcutt assists with training of the Hunt County Residency Program, serves as Chief of Podiatry at Medical City Dallas, and is a member of the Texas Podiatric Medical Association, American Podiatric Medical Association, and Dallas County Podiatric Medical Society. He is past president of the Dallas County Podiatric Medical Society. He is a Fellow of the American College Foot and Ankle Surgeons and board certified by the American Board of Foot and Ankle Surgery in forefoot and reconstructive rearfoot and ankle surgery. He is also board certified by the American Board of Podiatric Medicine. 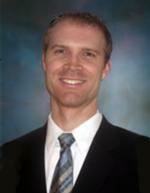 Dr. Northcutt is married with 3 children and lives in Dallas, Texas. When he isn’t helping patients in his role as a Dallas, TX, podiatrist, he enjoys mountain biking, basketball, camping, and spending time with family.